Once, you have left me, but now you leave me forever. For Nokia fans, 11 February 2011 was the date we’ll never forget. Nokia has abandon Symbian and MeeGo, “their own children” and adopted a new breed of child, “Windows Phone”. 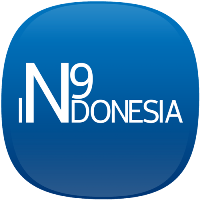 Nokia fans brake into two, one who got get along with Windows Phone, other insisted their ideas for Nokia to stay develop MeeGo, well, then i take the second choice, and build a tiny community, @N9Indonesia. But, as long as Nokia leave us on MeeGo’s faith, I can not describe how I missed Nokia, how I still love my first love (in the matters of cellphones, of course; wife, you’re my truly love :p), i then realized Nokia isn’t just an OS itself, it’s a hardware, an ecosystem, or whatever you say it to make me more guilty. It was 2002 since my first Nokia 3310 hands-on, from then, I was found a new world of toys, barely 28 Nokia’s handsets; you name it, from the monochrome-block form of 3310, a polyphonic-cheerful colour of 3100, beautiful shape of 7610, the first Symbian touchscreen, the N8 monstrous camera, unique UI of N9 and so on. Long stoy short, I had that love again, it’s not that long, I merely never remember that Nokia ever left me once, it’s like a man hurted by his woman, but he cannot forget her, he cannot hating her, he already forgive her, his first love. A night before, I was updating my Lumia 520 with “leaked” Amber update, and slept at 2 AM. I was busy tweaking around Amber that morning when I was read the #NextChapter tweet from @nokia, I thought, “heyy, does that a landscape homescreen which will arrived in GDR3! ?”, I’m back to my normal work, but then, that twitter universe breaks, Microsoft buys out Nokia!, “OK, this is what I’m afraid for two and a half years ago, it happens now”. OK, I can through this, like it was. But what the most sadly thing for me is, there will be no more Nokia named handset. It’s like you kill my love with bare hands, in front of my eyes; dead, vanish, disappear, gone. I can’t speak up normally, the world is like to end (ok, that was overrated :D). My 4 years old son, Kevin, he’s already a Nokia fans, like his father. I don’t know how to tell him, that we can’t buy Nokia toys again? I don’t know, maybe the situations will be different for him, free choice for him; Samsung, Apple, HTC or whatever he likes. But til then, I will told him a bedtime story every night ‘til he grown up, that there was a toy his father really love to play it, more than his childhood toys, that awesome toy was named “Nokia”.